The commune of Boullay-les-Troux, with its church of Saint Jean l'Evangéliste, is about ten kilometres south of Port-Royal des Champs. In the 17th century Boullay was the seigneurial domain of Guillaume du Gué de Bagnols (1616-57), Maître des Requêtes in the Parlement of Paris and one of the principal protectors of Port-Royal - the château de Boullay (demolished in 1825) once housed some of the Petites Ecoles. Gué de Bagnols had rebuilt the adjacent church in 1652. On the night of December 4th 1711 his remains, together with those of his wife, daughter and two other family members, were secretly transferred there from the Abbey. They were initially buried behind the altar, then in 1735 moved by his grandson to a specially constructed crypt. Gué de Bagnols's original tombstone is conserved in Magny-les-Hameaux. The disturbance of Guillaume du Gué de Bagnols's lead coffin apparently led to the leakage of large amounts of fluid, which seemed like fresh blood. Observers saw the stain on the floor of the Abbey Church (yuk!). Rumours of miraculous preservation were confirmed when the coffin was opened to reveal his uncorrupted body. The body was still intact when re-examined in 1752. Here is another putative saint; we are asked to seek the mediation of this Bienheureux et admirable Solitaire, for forgiveness of sins, victory over passions and the grace to live in humility and in detachment from the world. 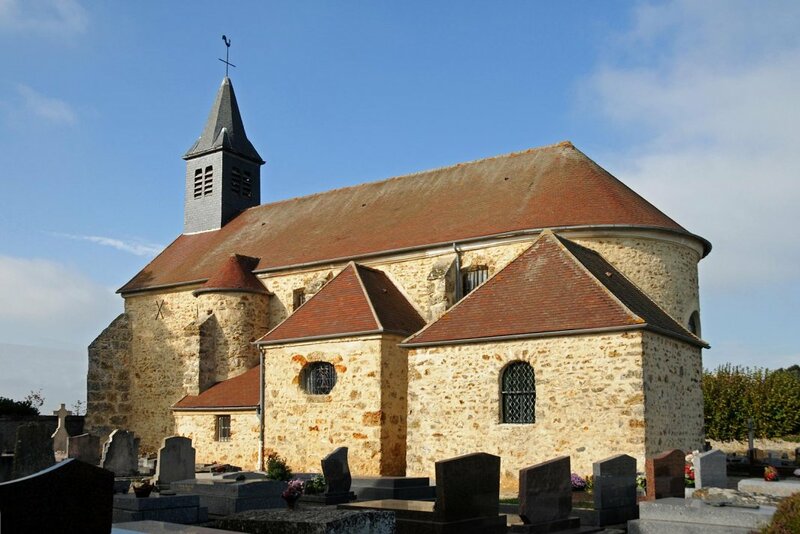 The remains of six members of the Arnauld family rested safely in the church of Saint-Martin in the village of Palaiseau, twenty-five kilometres to the east of Port-Royal des Champs. They had been transferred as early as September 1710 by the marquis de Pomponne, the son of Louis XIV's late Minister of State and grandson of Robert Arnauld d'Andilly. Forewarned by Cardinal Noailles, Pomponne had asked royal permission to move his relatives in secret either to his ancestral crypt at Saint-Merry or to the church on his estate at Pomponne, some forty kilometres north of Paris (in what is now the department of Seine-et-Marne). Since Louis was unwilling to have the remains brought into the capital, it was decided to take them to the marquis's estate at Palaiseau, a few hours to the east of Port-Royal. The original intention was to transfer them at a later date to Pomponne where a crypt would be prepared to receive them. In 1748 the badly decayed wooden trough was replaced by a stone one and the remains sealed in lead containers. Robert Arnauld d’Andilly (d.1674) and his sister the Abbess Catherine-Agnès Arnauld (d. 1671), ; two of Robert Arnauld d’Andilly's children: the Abbess Angélique de Saint-Jean Arnauld d'Andilly, (d.1684) and Henri Charles Arnauld de Luzancy (d.1684), plus two infant girls of the family who died in 1676 and 1695. 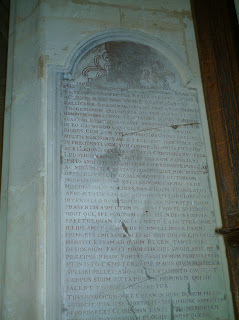 The original gravestone of de Luzancy is preserved at Magny-les-Hameaux. 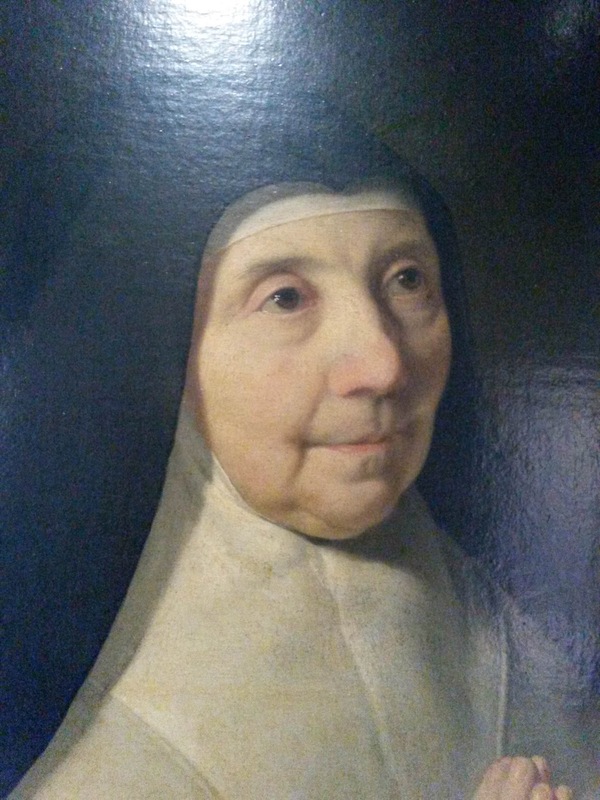 In addition, the transfer included lead caskets containing the hearts of Mother Marie-Angélique, interred at Port-Royal de Paris, and of Antoine Arnauld, "le grand Arnauld", who died in exile in Brussels in 1694. (The writer of the pilgrimage manual cannot resist telling us that Arnauld's heart was seen to be remarkably preserved in both 1710, 1725 and 1748.) A third heart belonged to Marie Emmanuelle, sister of the marquis de Pomponne who had died in her twenties. Saint-Médard was clearly obligatory as a station on the pilgrimage, but our author is notably reticent, with not a word about miracles.The Diacre Pâris is commended only for his saintly life and his attachment to Port-Royal. 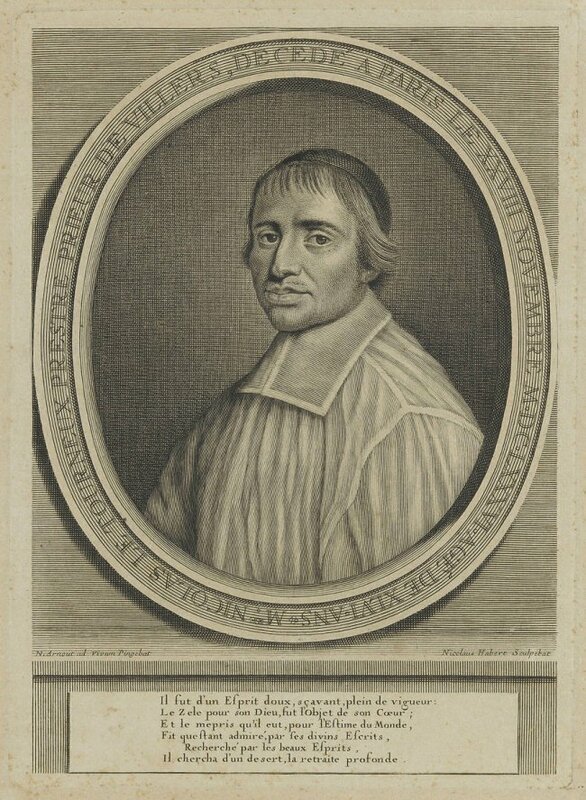 Other noteworthy Jansenists were buried within the church itself, notably Pierre Nicole (d.1695) and the theologian Jacques-Joseph Duguet (d.1733), who had been a critic of the convulsionaries. 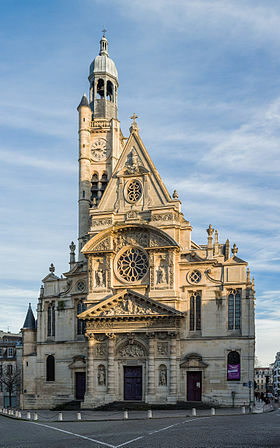 The church of Saint-Étienne-du-Mont contained the remains of the two brothers Antoine le Maitre (d.1658) and Isaac-Louis le Maitre de Sacy (d.1684), and of Racine. They had been removed from Port-Royal on the initiative of Suzanne-Françoise Issali. The bodies were exhumed on the night of 1st December 1711 and transported to Paris under the direction of Nicolas Dion, Deacon of the Church of Rouon, and reinterred the following evening. The two brothers were placed in the crypt of the Chapel of St John the Baptist. We learn that the corpse of M. de Saci, who died in 1684, was found intact, with his clothes little damaged. Racine, whose family lived in the parish, was buried close to Pascal near one of the pillars of the Chapel of the Virgin - the exact location of the grave is no longer known. 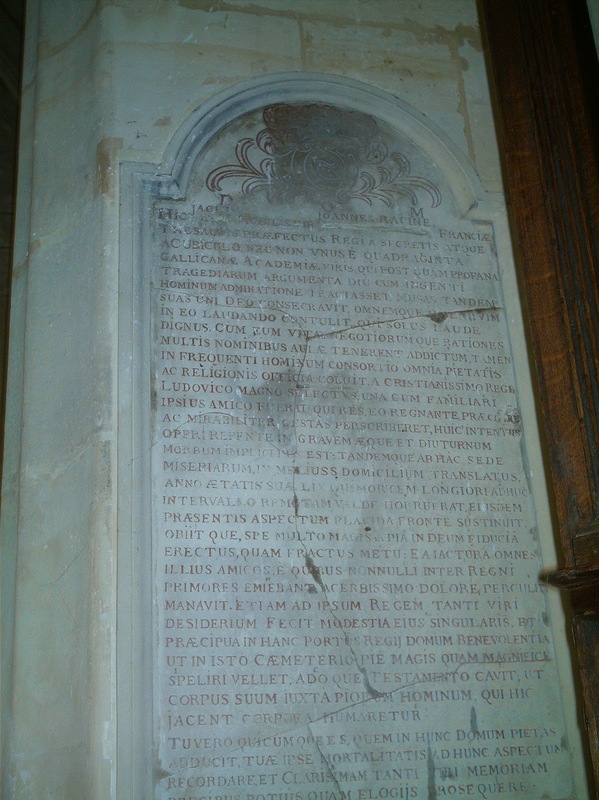 In 1818 his original gravestone, which had been rediscovered in the choir at Magny-les-Hameaux, was set up in Saint-Étienne-du-Mont. 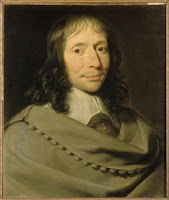 The stone from Pascal's grave, then in the Musée des monuments, was restored at the same time. 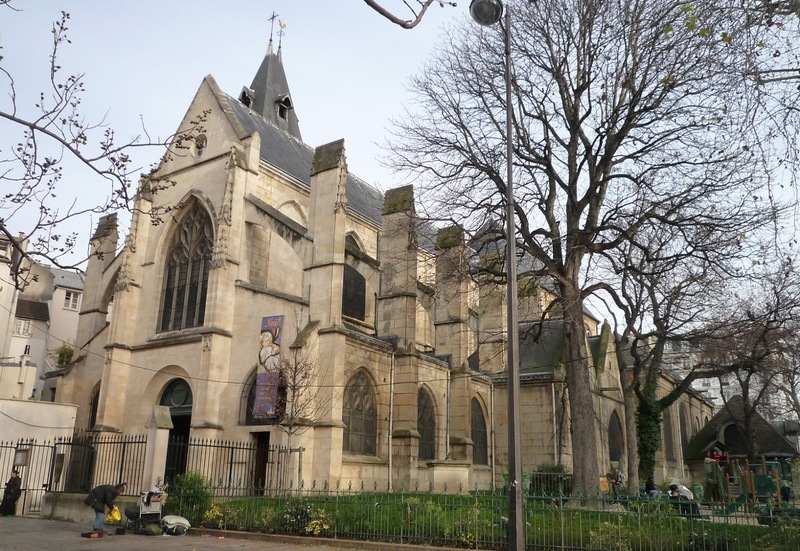 The pilgrimage concludes with three churches in central Paris, none of which are now extant. 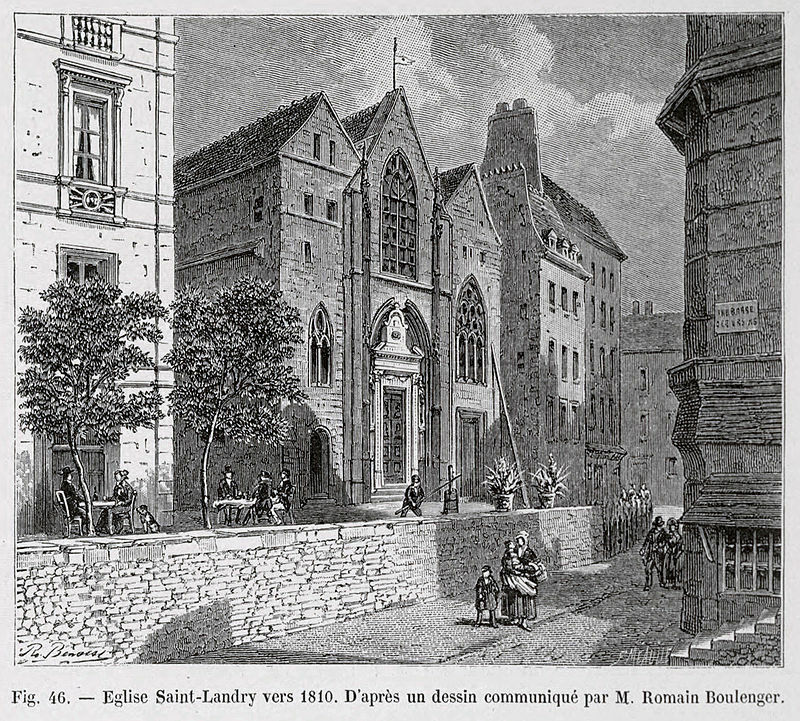 Saint-André des Arts was demolished in the early years of the 19th century. It contained the body of the historian Louis-Sebastien le Nain de Tillemont (d.1698), which had been secretly transferred from Port-Royal on the night 23rd december 1710 at the instigation of his relative Jean Le Nain, Doyen du Parlement. 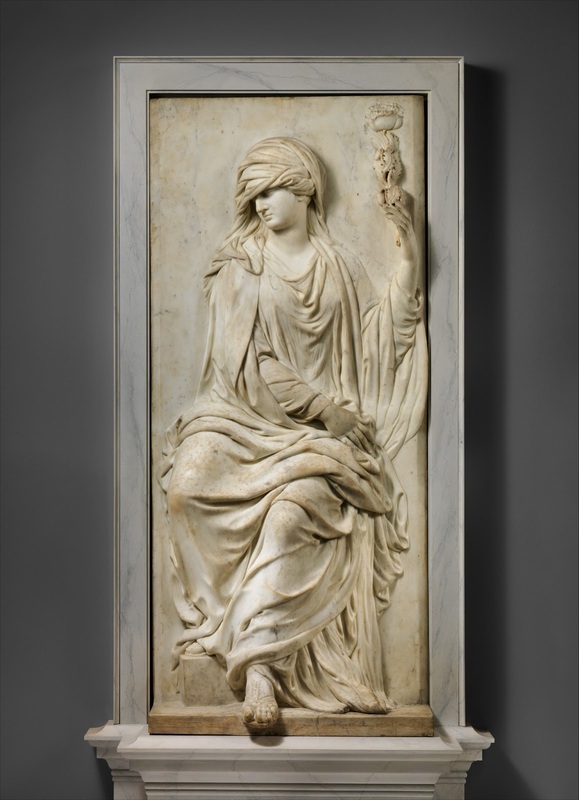 Also buried there was the princesse de Conti (d.1674) - her monument by Girardon found its way to Malmaison and is now in the Metropolitan Museum. 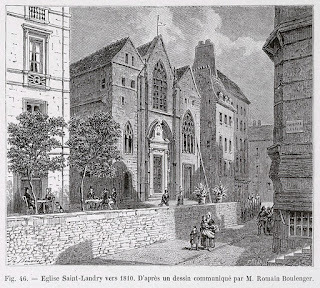 This church, which stood near Les Halles, was demolished in 1791. The community of Saint-Josse had been a centre of Jansenist education, suppressed in the 1730s. Either side of the altar in the lower chapel lay the hearts of two the two Jansenist bishops, Jean Soanen of Senez and Cornelius Barchman of Utrecht. The heart of Soanen had been deposited there on 30th May 1741. Pilgrims were encouraged to pray for the courage of confessors of the faith and the strength of martyrs. This church, on the Ile de la Cité, housed the tomb of Nicolas Le Tourneux, the Jansenist preacher (d.1686). This church too has completely disappeared - it was demolished in 1829. 1709 - Why was it so cold?